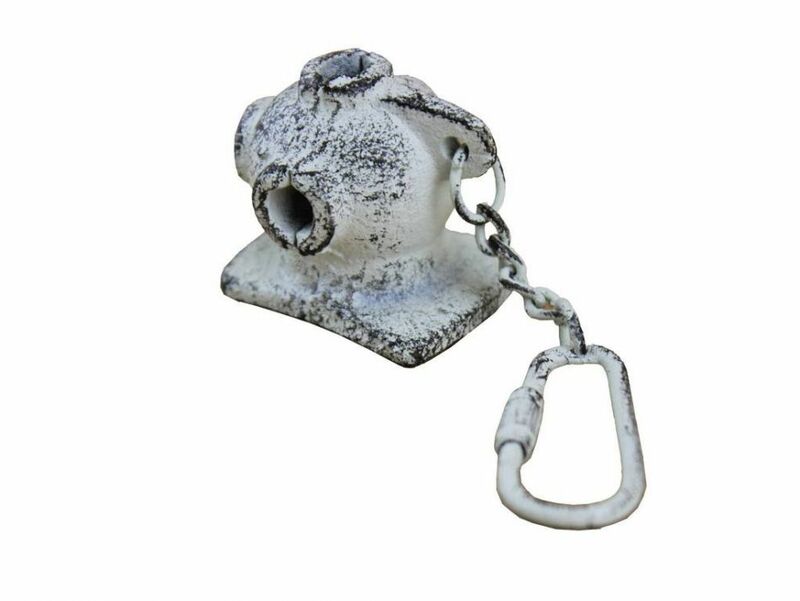 Chrome Dolphin Key Chain 4"
Antique Copper Pulley Key Chain 5"
This nautical-themed key chain is both adorable and functional, featuring an rustic whitewashed cast iron diving helmet key fob. 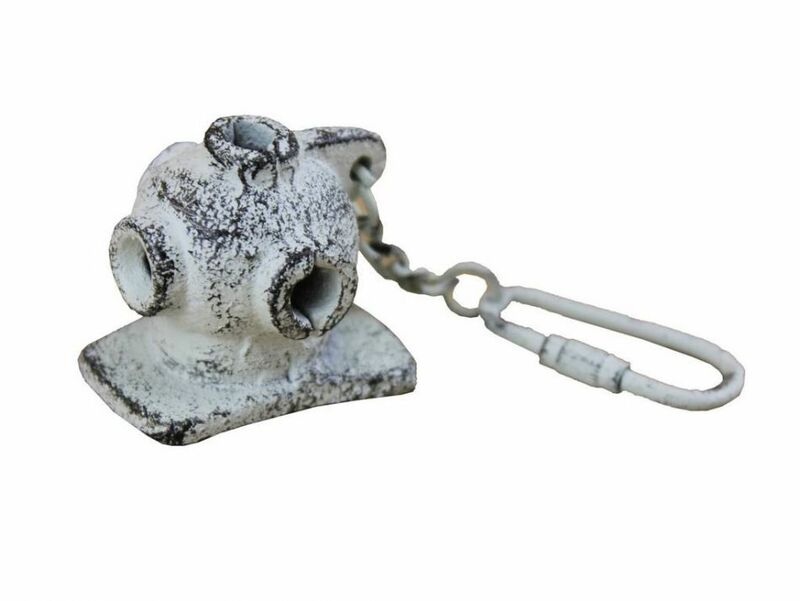 Handcrafted with a whitewashed cast iron finish this key chain is as beautiful as it is durable and functional. 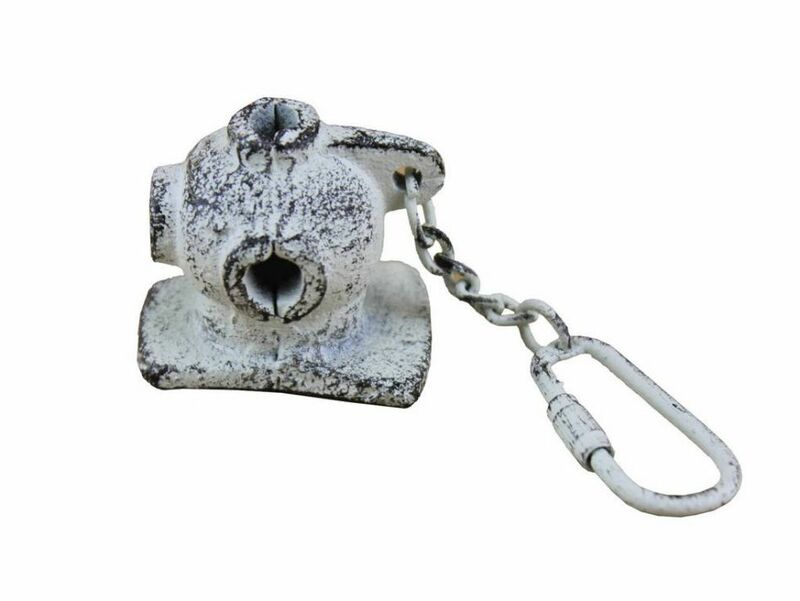 A knurled knob allows you to easily and securely add or remove keys from the ring. These wonderful key chains make ideal gifts for friends, family, employees, clients, co-workers and especially yourself.